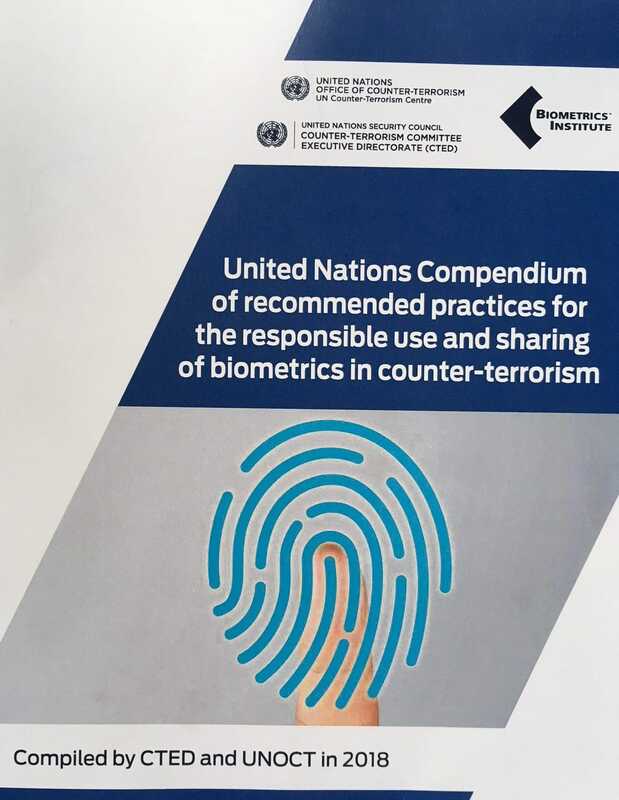 As you know, the Biometrics Institute was instrumental in the production of the United Nations Compendium of Recommended Practices for the Responsible Use and Sharing of Biometrics in Counter-Terrorism, an initiative of the UN Counter-Terrorism Implementation Task Force (CTITF). On 29 June, the Compendium was officially released and presented during a high-level conference of the heads of Member States’ counter-terrorism agencies at the Headquarters of the United Nations in New York. Isabelle Moeller was in attendance and had the opportunity to speak about the important work of the Institute and our commitment to this crucial initiative. The Compendium, the first of its kind ever to be procured, is a living document that will be adapted to future changes in both biometric technology and the threat of terrorism. The objective now is to strengthen the awareness, knowledge and capabilities of Member States through targeted regional workshops. The Compendium will be used as a practical guidance tool during these workshops and will help to address developments in biometrics in the context of counter-terrorism. The workshops will also be an opportunity to reach out to Member States who lack the capacity to effectively and properly develop and implement systems to collect and share biometric data responsibly. The Counter-Terrorism Executive Directorate (CTED) will organise the workshops with assistance from the Biometrics Institute, along with relevant regional and international organisations. The role of the Institute will be to provide expert consultants to run the workshops and ensure that all of the sections of the Compendium are understood, from system selection and implementation, right through to the protection of human rights.  The Institute will promote our existing guiding material, such as the Biometrics Institute Privacy Guidelines, which we will recommend are used alongside the Compendium. We will also draw from our collective pool of experts and consultants in our membership base for support. There may also be opportunities for vendors to sponsor or attend workshops. After all, the goal is to put biometric systems in place in regions that need them; those regions will need help in choosing what to buy and will need to buy them from somewhere. Our working partners from CTED, Mr Jean-Philippe Morange and Ms Anne-Marie Seesmaa will join us for our London Congress week in October and will attend our ID@Borders and the Future of Travel event in Vienna next April. We are also very proud to share the sentiments expressed by Mr Vladimir Voronkov, Under-Secretary-General, United Nations Office of Counter-Terrorism, at the launch of the Compendium in New York. Mr. Voronkov welcomed this joint initiative and expressed his appreciation for the technical expertise provided by the Biometric Institute in the production of the Compendium. He emphasised that mutual cooperation among international organisations was in line with the UN principle of “Delivering as One”. In addition, it provided a concrete and practical example for other regional and national organisations that also aimed to have a similar integrated and collaborative approach in addressing the key challenges of the fight against terrorism. And from Ms Michèle Coninsx, Assistant-Secretary General, Executive Director, Counter-Terrorism Committee Executive Directorate: Ms Coninsx noted that in resolution 2396 (2017), the Security Council decided that Member States shall develop and implement systems to collect biometric data in order to responsibly and properly identify terrorists, including foreign terrorist fighters and to share this data responsibly among relevant Member States and with INTERPOL and other relevant international bodies. 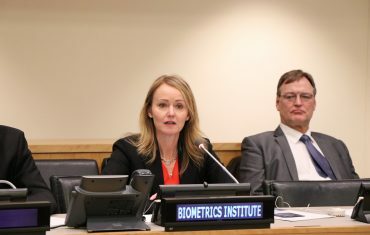 Ms Coninsx recognised the instrumental role played by the Biometrics Institute and praised the Compendium as a unique resource and guidance material on the use of Biometrics in the Counter-terrorism context which also takes into consideration the challenges related to this topic. UN entities and international and regional organisations must cooperate and coordinate effectively to identify further ways to provide targeted and effective assistance to Member States. UN entities must also work together in a coherent and coordinated manner to avoid overlap and duplication of efforts. The CTITF Working Group on Law enforcement and Border management, chaired by CTED, offers a great framework and has been developing this Compendium, as the first phase of a UN initiative that also requires us, in a second phase, to bring this material to member states via awareness raising regional activities. This Phase 2 requires even more joint and combined efforts within the UN, with private sector and key donors. 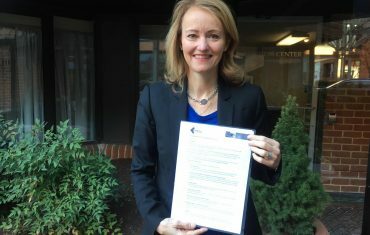 “As our work becomes more complex and more focused on certain thematic areas, including Biometrics, I trust that we can continue to rely upon invaluable support and expertise from the Biometrics Institute, a key partner of CTED, who brings its experience on the responsible use of Biometrics”, Ms Coninsx stated.